Rare earth market quotation in China: dysprosium oxide price rises slightly while europium oxide and praseodymium neodymium metal remains stable. It was reported that the technology for heavy-earth mining is difficult to break through in the short term. In addition, the environmental protection inspection is stricter. So dysprosium oxide manufacturers have strong rised mentality and prices tend to rise. 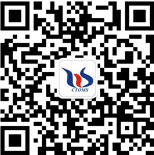 Follow our WeChat to know the latest tungsten price, information and market analysis.